Visit the new SussexSeaFishing tackle shop as we have a new range of Tronix tackle, most items are at special discounts for the festive period (39p or 49p per pack of hooks, beads, swivels and much more) so get yours quick by clicking here. You can also purchase a variety of lines as well as ready made rigs, including the Team SSF match range. Check out the new video guides and downloads page with many more videos to come soon. This week there has been mixed weather with strong winds at the beginning turning to cold N and NW winds towards the end of the week with the added extra of snow, sleat and rain. There has actualy been mixed results this week in terms of reports. Mainly Rockling galore with some Pout, Whiting, Flounders, Dabs and small Codling. I have heard that there were quite a few fish caught at Pevensey after dark during the weekend including all of the above species. None were lunkers but by all accounts a good number and variety of fish to warm you up in the cold weather. Seaford has been a little less productive with mainly Rockling being caught and a few pout. Glenn Fished Hayling Island and has this report: I had 1 decent flounder which unfortunately was gut hooked so kept it for my bro to eat, was 38cm and weighed 1lb 2oz and 1 pin whiting, my dad had 2 slightly smaller flounders 32cm and 27cm and my bro blanked. Bait was maddies, king rag and fresh blacks. Although fishing wasnt great, made a nice change to venture somewhere different. There are still some nice Flounders about and a few have been landed at Hove beaches in the daytime. Not much to report from Brighton marina again this week, however, the BPPAA matches start up again in April and this should mean some catch and match reports to be added as long as the weather behaves. The BPPAA AGM and presentation is this coming Sunday 30th held at the Branch Tavern on London Road, Brighton. The first match of the year is the first sunday of April. If you interested in attending either event then let me know. Again we have had strong winds and rain this week which has made fishing difficult at some marks. Thanks to Glenn Arnold for this report: 'I had a little go by the Hope Inn at Newhaven on Sat 15th. I had some king rag, peeler crab, squid and frozen black lug, fished 2 rods with 3 hook paternosters. First cast i caught a small whiting and a ling, followed by a pout and ling. For the next hour it was ling, ling, ling including a couple of treble shots. After having a chat with Andy (gs425e, nice to meet you boss), my mate Skizz turned up for a fish. We caught more ling, then i pulled in a palm sized flounder then a treble shot of big ling including a monster that was 28cm (specimen lol), Skizz not to be outdone proceeded to pull in a treble shot which was a flounder and 2 ling. We continued catching ling until my last cast when my rod doubled over, i expected to see a decent flounder or eel, instead it was a sizable pollack! that was 33cm and then i decided to call it a day. Final tally, 40+ ling, 2 pout, 1 whiting, 1 flounder and 1 pollack. Looking forward to the ling disappearing so the other fish can get to the bait first. There were some Rockling, Pout and 2 Codling caught at White hourses last weekend so it shows that there are a few about. There were a few Flounders about at Shoreham arms midweek but as the week has progressed it seems that there have been fewer catches.Brighton Marina has been closed again this week so nothing to report from there. Also, If you have any ideas or suggestions for pages/info that you would like to see on the site then please email me on the details above and please also feel free to email me catch reports whether its a one liner or a long report its fine as it helps keep other anglers informed. This week has again seen mixed weather with lovely sunshine mixed with strong westerly winds at times. Unfortunatley, worse weather is predicted for the first part of the week, at least it will stir the sea up. At this slow time of year the reports seem to dry up as much as the fishing but here is what i have heard this week. There has bee a few Flounders landed along Hove beaches with the usual Rockling thrown in for good measure. Pevensey Bay has had Pout, Rockling after dark with some Flounders in daytime. The Marina has been shut more then open and results fairly poor with Pin whiting, pout and rockling and the odd Flounder. There have been a few Flounders at Shoreham but i have also had some disturbing reports from Shoreham arm that a group of people (not worthy to be fisherman), were on the arm and caught lots of Rockling which instead of returning they left strewn about the arm to die for other anglers to find in the morning (34 in total). I heard this report on a local forum from an SAS member who also reports that he was told from someone who saw this happening that the people concerned also attempted to vandalise part of the arm. Not Good! Worthing has also been slow with very similar reports to those above. 03/03/08 - This week has seen strong westerly winds with the odd calm patch in between. this has made the water pretty dirty but sometimes unfishable. 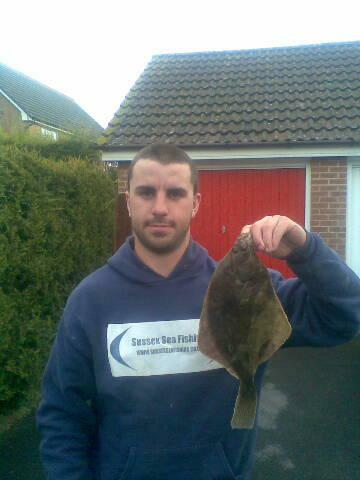 Hove has produced a few nice Flounders, plenty of Rockling and the Odd pout. This has been similar case for most places bewteen Goring and Eastbourne. Brighton Marina has been more shut then open but when open it has produced pin whiting, pout and rockling. Seaford has had similar reports and if your after a flounder down that way then i would say give tidemills a go. Worthing Pier has produced the odd Doggy, Flounders and Rockling. 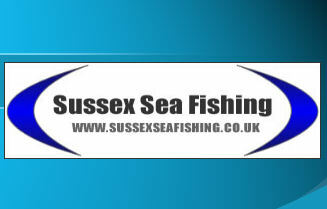 Click on the box below to watch video from the SSF match at seaford in late jan. Check out the new page Your Reviews by clicking here . Its dedicated to yours and other readers reviews of tackle and fishing related products.